A simple wolf whistle may have suited old Bogey, but none of us can sustain the energy or ability to keep shouting or whistling without mechanical means for assistance in the event of an accident or when trying to attract attention over distance. For that reason, anyone venturing into the countryside should be carrying a whistle. A whistle he says, he’s ‘avin’ a laugh! Also, who cares what and which damn whistle is carried? Well, I would argue that a little thought should be given to this essential piece of kit, then purchase the right one, attach it to your pack, belt or hang it round your neck, and promptly forget about it until the, hopefully never realised, time comes to use it. Three Points of the Compass carries a whistle in his pack. The actual one carried has altered slightly over the years. Usually because I have lost one and simply picked up the next brightest, shiniest one on offer near the till in an outdoors equipment shop. 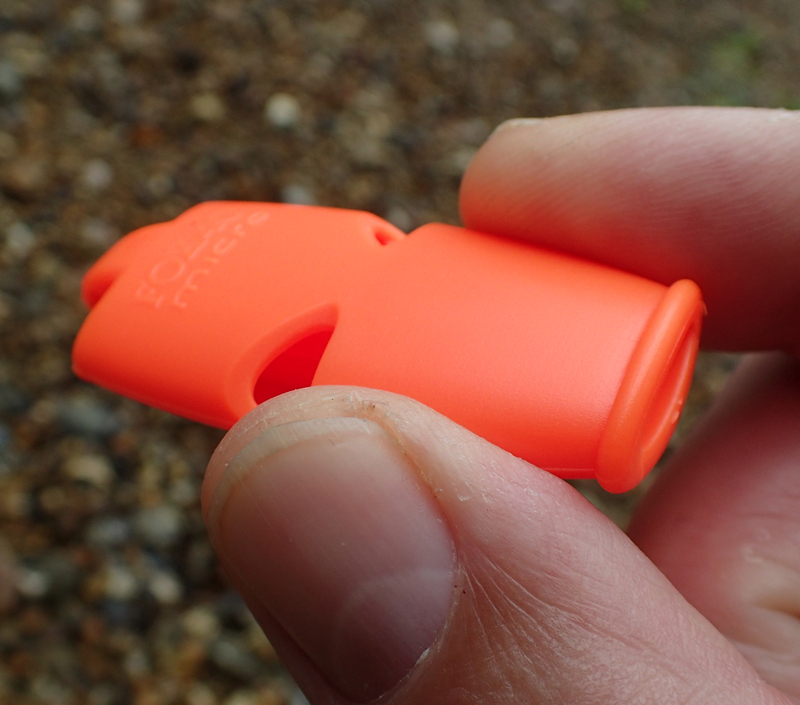 A small, brightly coloured, almost indestructible whistle- but is it a good choice? There are some quite large and chunky whistles available that combine any number of functions- mini compass, mirror, holder for matches etc. However I believe that none of those are a particular benefit. This is one item where dedicated practicality and effectiveness is to the fore. The point of a whistle is to be heard. When looking to change my whistle recently, not only was I looking at effectiveness, I was also looking to shave a few grams off if possible. In really cold weather, a metal whistle can be painful on the lips, even sticking to them. 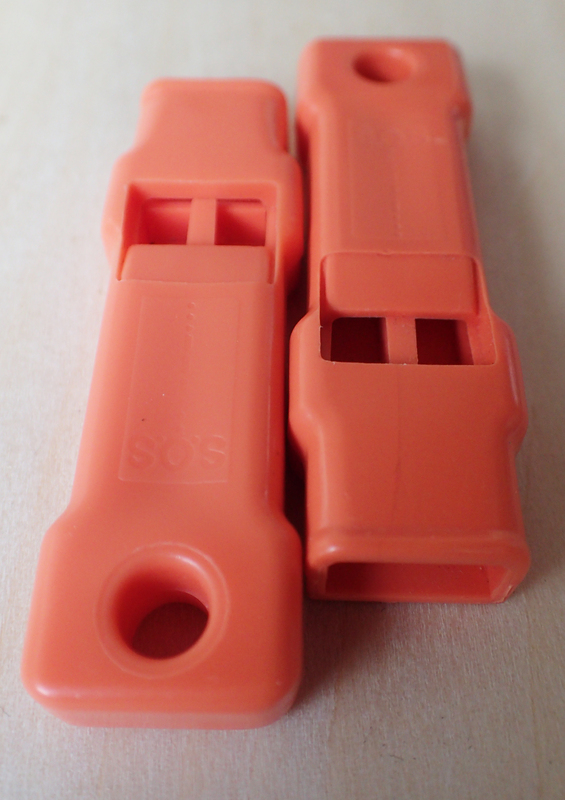 Plastic is a better medium for a whistle, being robust and long lasting, provided the whistle is well made from a reputable manufacturer, such as any of those looked at here. Pea less whistles have no moving parts that can jam in the whistle body cavity or become gunged up with mud and other grime encountered on the trail, or inside the pack for that matter. While this is perhaps unlikely to occur for most of us, it may be a consideration for some. The volume stated on some manufacturers websites needs to be taken with more than a pinch of salt. Many manufacturer tests will have been in optimum conditions and a general look around secondary sources seems to indicate that many have failed miserably to replicate claimed ‘loudness’. I had a glance around at those whistles Three Points of the Compass has carried and used in the past, also those whistles that gain favour with many hikers. A whistle is not a particularly expensive piece of kit so I purchased an additional handful and set about trying them out. The recordings I have made and include below were all made together, in exactly the same circumstance, same amount of ‘puff’, same distance from microphone, same recording volume. I have only edited them in length and recording output is the same for all. Where you will carry a whistle will also influence your choice- hung from the belt, around the neck, or in the pack. I prefer to carry mine clipped just inside a pack pocket. Obviously not the best location should I be separated from my pack, that is my choice. Therefore, the bulk of a whistle is a secondary concern for me. Just as well it turned out when I tested this small group. Some whistles come with a length of cord or similar, some do not. This is very much of little concern to me. Far better to attach your own length of whatever length and colour you want, or attach a mini ‘biner if that is your choice. If using a neck cord, you may like to consider if it should incorporate a ‘break-away’ in the event of your getting snagged up. Any whistle carted along with you for hundreds of miles should be robust enough to stand rough treatment, work in wet, hot and cold conditions and be easily bought into use. It is no use carrying a whistle and when having to use it in an emergency, finding it almost impossible to use with frozen fingers or gloved hands. 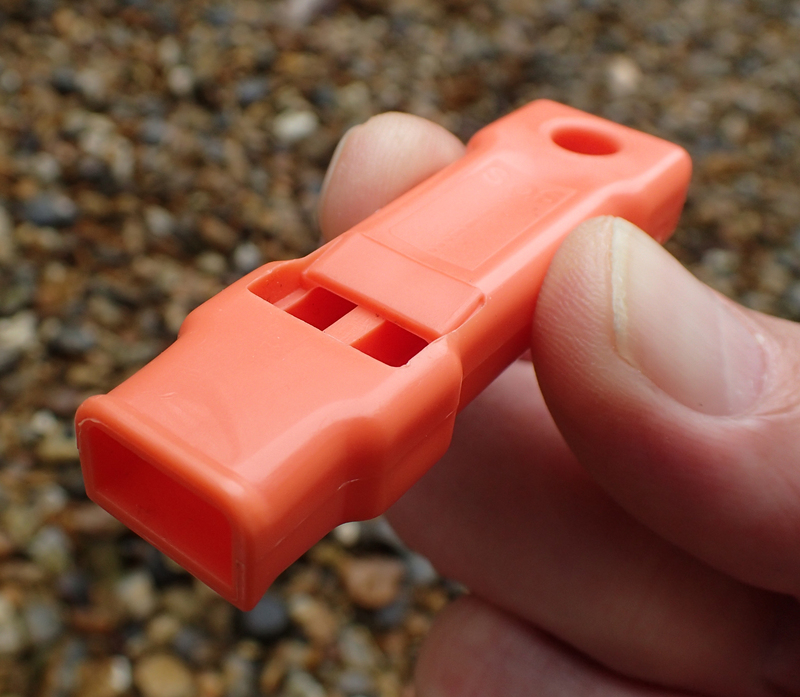 The orange marine safety whistle, or Perry whistle, has been knocking around in various guises for decades. Made of lightweight plastic, it floats, is pea less, and, in common with all those shown here, will work in the wet. 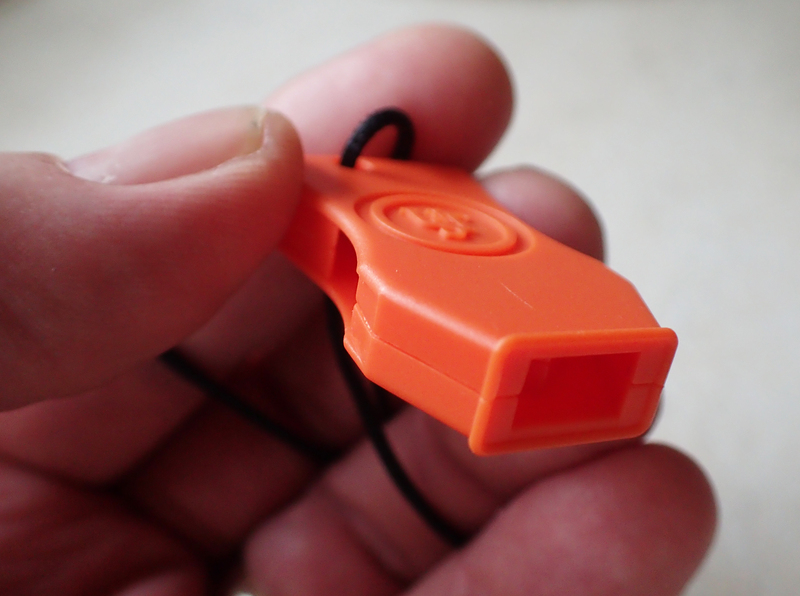 This is a cheap ‘n’ cheerful whistle that is idiot proof to use. It floats and clears easily of any water inside once blown. The long body on the Perry whistle means there is no problem holding it with gloved hands while not blocking the whistle window. It is quite flat in profile and hangs well round the neck with a large 6mm hole through which to pass a length of cordage, split ring or mini-‘biner. The only thing that counteracts its suitability is its performance . I believe there is nothing inherently wrong with the Perry whistle, or the sound emitted, however these days it is only moderate in performance when judged against a couple of the others looked at here. The Fox 40 Micro is the smaller version of the popular Fox 40 whistle. Originally developed as a pea-less whistle by Ron Foxcroft while he was a referee, who had experienced problems with his typical refereeing whistle and its pea becoming stuck or clogged with dirt or water. The ’40’ in the company name refers to Foxcroft’s partner at the time- Joe Forte. If the whistle is submerged, once removed from the water, any water in the whistle chambers drains immediately upon blowing the whistle. The accompanying blurb to this small pea-less whistle states that it ‘cannot be overblown’ and can be heard for miles. Perhaps in perfect conditions I would say. The whistle is too small. Even with the un-gloved hand it is easy to block the side windows on the whistle body, muffling the sound emitted. This small whistle may suit children in a hiking party though. Despite Fox advertising these whistles as emitting 110dB, I don’t believe this, I also find the high pitch a little indistinct, the deeper tone of its larger sibling carries better I believe and would be more noticeable. All that said, there is little to go wrong with this whistle, it is robust and is unlikely to suffer crush damage. The shallow profile also means that it would hang around the neck comfortably. Despite its small size and not being the easiest to blow, this is now my EDC in my work bag, its small size and weight acting in its favour here. Many modern packs; Osprey et al, come with a sternum strap that combines a buckle and whistle. Obviously these are going to be quite modest affairs, some are very small indeed. So it may be questionable as to how effective they are. Well, listen to the recording below. This, admittedly on the larger scale of buckle type whistles, is actually a pretty effective whistle. The sound is sharp, clear and penetrates well. That said, if you are wearing your pack, the whistle is always convenient and to hand. The sound emitted is quite high pitched and could easily be lost in the surroundings. For any apparent fault, these are a handy back-up to a primary whistle, just not something to be relied on in isolation. I purchased one of the tubular Lifeventure whistles quite some years ago, not only that, but I also kitted out my family with one each. I may have given a brief toot in the store when I bought it, but it hasn’t touched my lips in all the years since. There any number of versions of this whistle from countless suppliers, many no doubt applying their name to a generic product. You can even find a titanium version if you want, please don’t bother. You may think that this whistle is defective so bad is its sound, but I tried it against two other identical whistles I have and the results were the same. A moderate blow is OK, it is when you really blow that the sound utterly fails to emanate. The suffering from over-blowing is to its detriment. I was quite shocked to find just how ineffective it was when recording a couple of blasts for this test. A modest puff in a shop may produce a good clean sound, giving it a good blast with the intention of alerting someone simply overwhelms the chamber and results in nothing discernible. Listen to the recording below and you will see what I mean. This is a classic piece of kit. Justifiably so when you hear it. Four internal chambers gives a loud, clear sound and the two slightly different tones emanating from the two sides of the whistle are effective. The harder you blow, the louder the sound. The Fox 40 Sharx is a good size, fits comfortably in the hand but may be a little bulky in profile to hang comfortably around the neck. The raised plastic bars on the side mean that it is easy to hold in the fingers without obstructing the side windows. 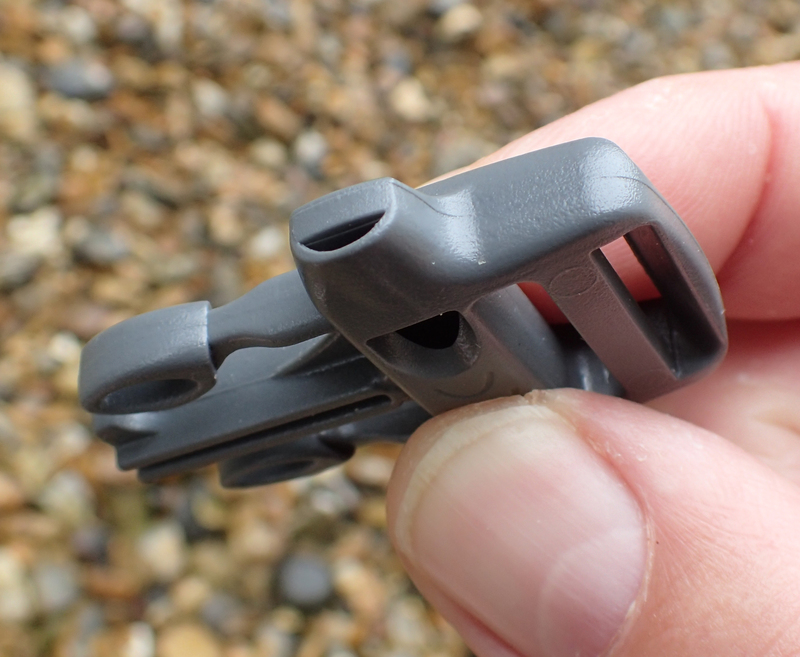 It is also possible to get a newer variant of this whistle made of “polycarbonate with co-moulded elastomer for slip resistance“, which will, supposedly, improve handling in the wet. But this carries a weight penalty (almost doubled in weight) and, as whistles go, this basic model isn’t exactly a lightweight. But come on, who is going to complain about carrying a sub 14g whistle! As to what colour to have, well, take your pick. There are quite a few on offer. The bright red shown is a good choice though. The cord loop holder offers a choice of attachment methods. All in all, this is a well thought out, well designed and effective whistle. 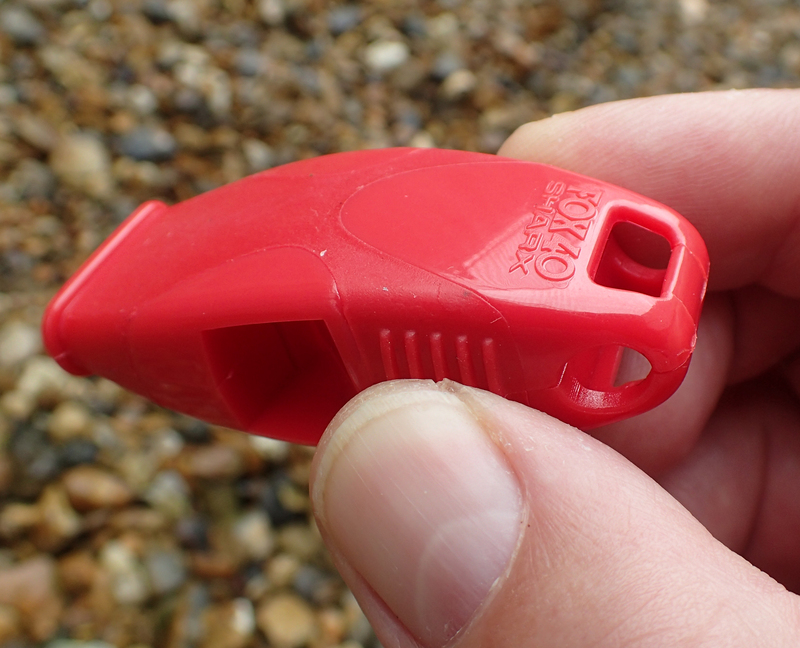 An excellent whistle, it has now become a favourite of mine and accompanies me on Day Hikes. 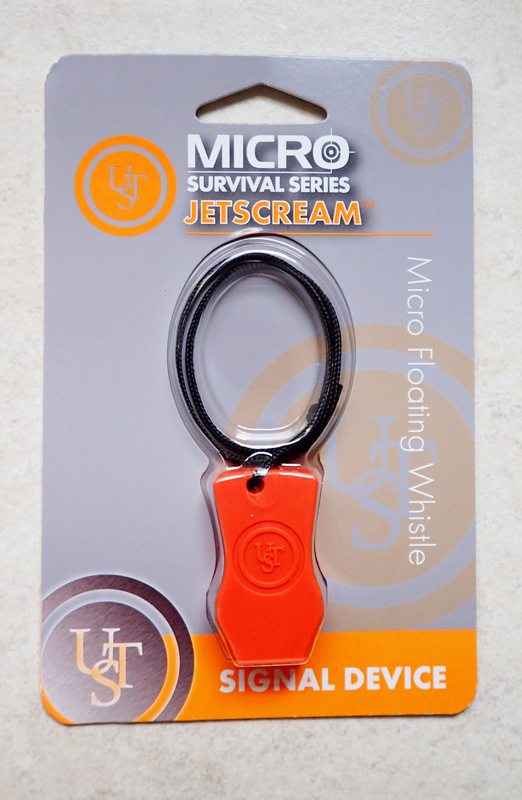 The Jetscream Micro, a flat ‘micro floating whistle’ from US company UST (Ultimate Survival Technologies), is an orange ABS plastic item made in China. It is high pitched if not as high as others reviewed here, and loud when blown with gusto. Weight is negligible with supplied 140mm loop cord attached, it weighs 3.8g, or 3.2g without. Which is more than the advertised 2.8g, but I am not going to be writing to the manufacturer to complain. The small hole for the cord is not particularly well orientated for practical use however the flat profile should mean that it is reasonably comfortable if worn round the neck. 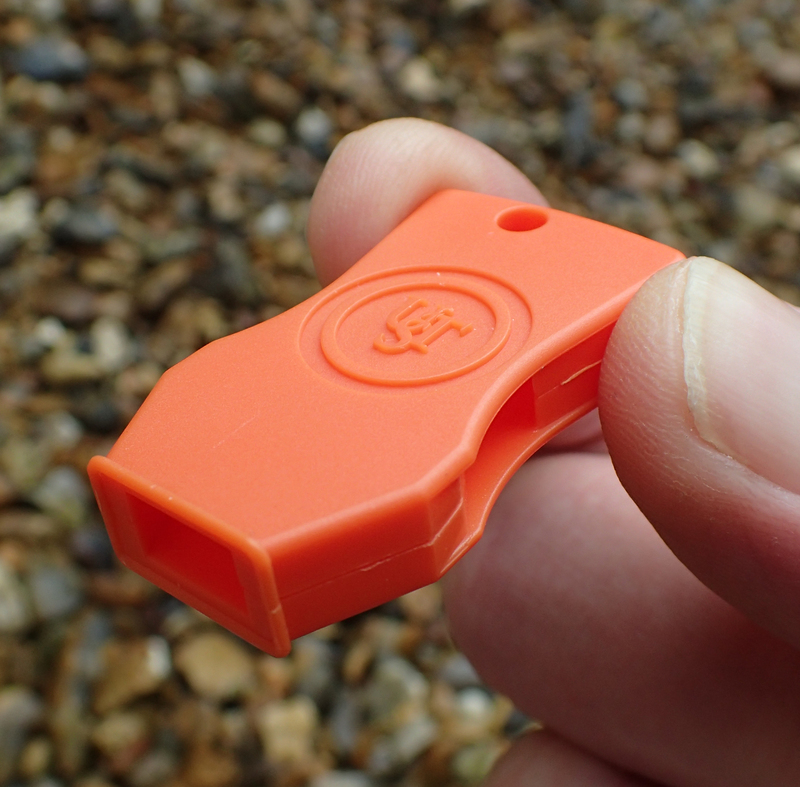 Like others here, the sensible bright orange build means that this diminutive whistle should not easily be lost and will float if dropped in the water. However, you want another colour? you got it! There a quite a few variants available. This is another pea-less design and there is just about nothing that can go wrong with this product, being virtually crush proof. This whistle has its fans. I am not amongst them. 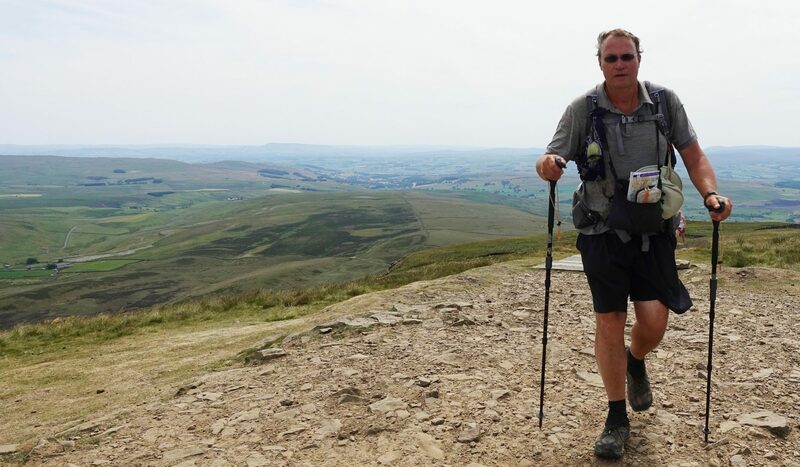 As to its suitability for hiking- I think its small size and moderate sound work well if utilised as a keychain item, or if the preference is for something to be worn around the neck, which I do not. It is small, and therefore it is possible to block the side windows with fingers, however the design of the whistle makes this less likely an occurrence. 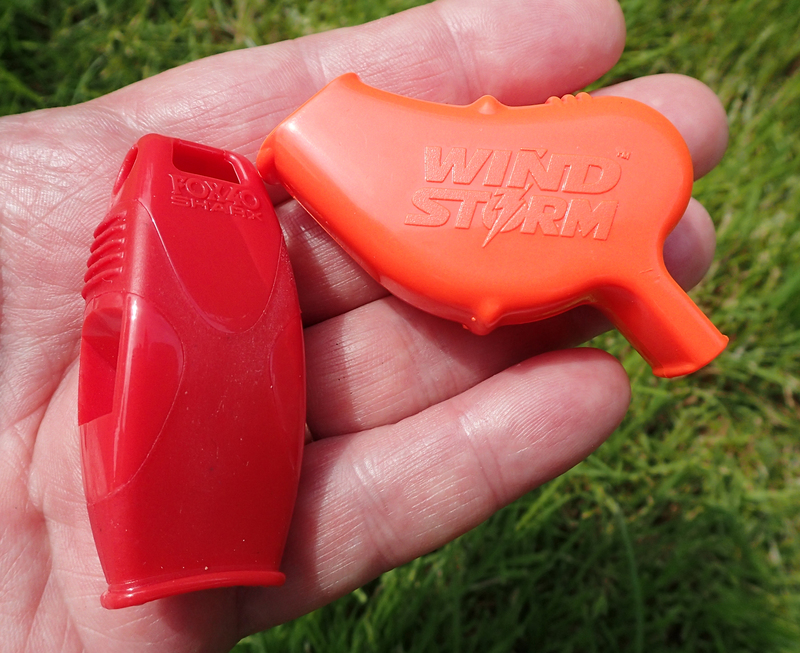 The Wind Storm from Storm Whistles is the smaller sibling of the famed Storm whistle. 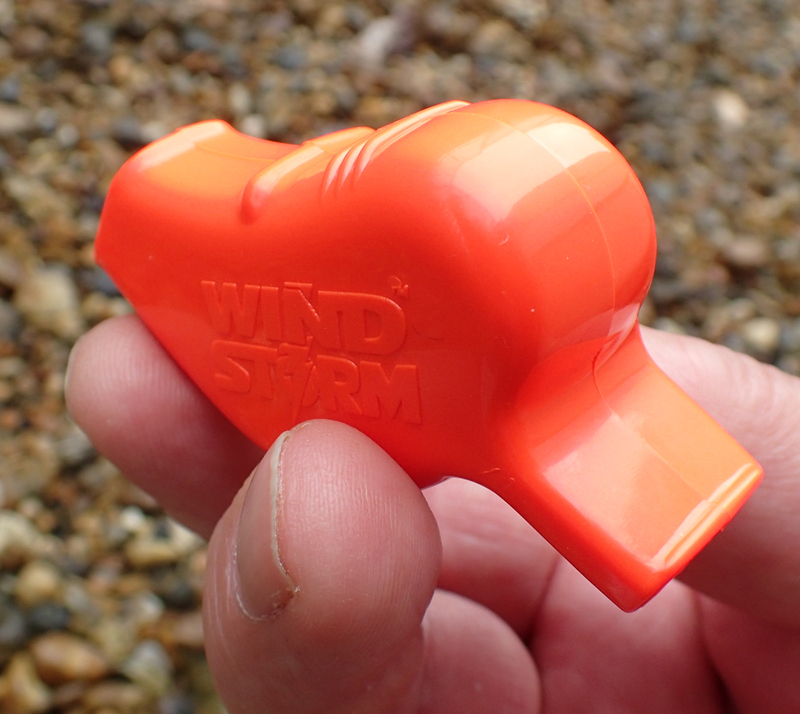 The Storm whistle is a quite phenomenal piece of kit, however I felt it was too large and slightly heavy to consider it here. Hence my looking at the smaller Wind Storm (right) instead. 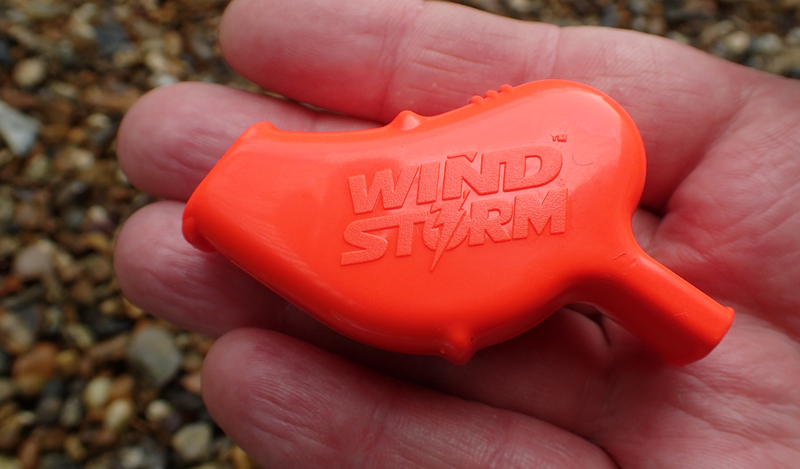 This smaller whistle is advertised as being the second loudest whistle on the market, the loudest being the Storm. Listening to them both, I can quite believe the hype. The Wind Storm comes in three colours; black, yellow and orange. I purchased the latter as it is a safety item and not the time to be looking at more muted colours. The quoted statistics, on paper, appear less impressive than some rivals- 103dB that ‘can be heard up to a half mile away’, however these appear to be verifiable statistics, and again, you only need to hear this whistle in comparison to the others to appreciate its effectiveness. As to the capability of being heard up to fifty feet away under water, I am not sure that many hikers are going to put that to the test. There are two main chambers in the design of this whistle, an upper chamber that contains a ‘pea’ and a lower resonance chamber. 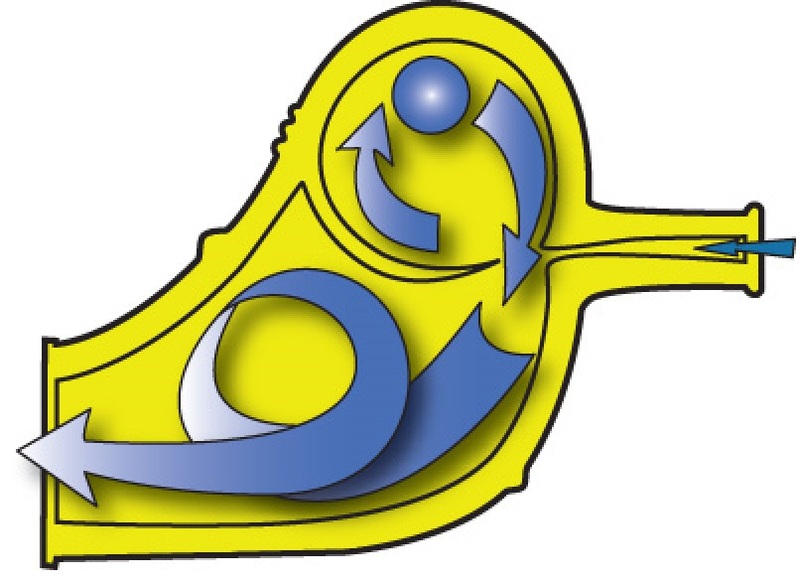 The ‘pea’ or small ball inside the chamber creates a pulse in the whistle cavity. The resultant sound is multiple in tone and really carries well. My notes on this read- “good rumbling multi-tone that reverberates“- not sure what I mean by rumbling, but it certainly reverberates. Another whistle that can not be over-blown- the harder you blow, the louder the sound. You can see the seal joining the two halves of the body together. I am unsure how much stress this would take compared to the almost crushproof capabilities of other whistles looked at here. By way of reminder, the International Mountain Distress Signal is six three-second blasts of a whistle followed by a minutes silence, then repeated. The reply is three whistles. Keep blowing so that location can be determined. In North America the distress call is usually three blasts of a whistle with two as a reply. Many people are more familiar with the Morse Code ‘S.O.S-‘. Three short blasts, three long blasts, three short blasts. While correct in a maritime environment, it is not correct on the trail. That said, who is going to mind? It is still a repeated three blasts and most people will know what it means. On no account should a distress signal be used ‘in jest’ as it is quite easy to put others in either danger or at least greatly inconvenienced. 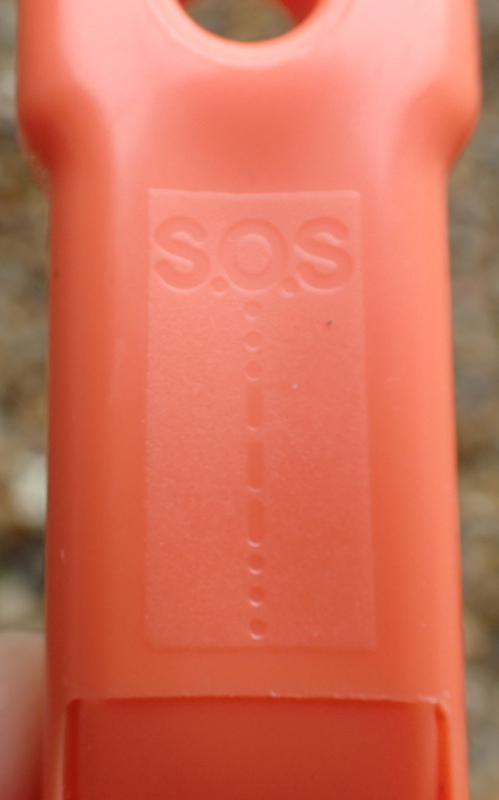 A whistle can also be used for general communication, just be careful not to put blasts too close together or they are likely to be mistaken for distress. Also, try not to use whistles with impunity, they are intentionally loud, and can be quite obtrusive to other hikers, perhaps hidden from you. A single blast asks- ‘where are you‘? Two blasts request ‘come to me‘. 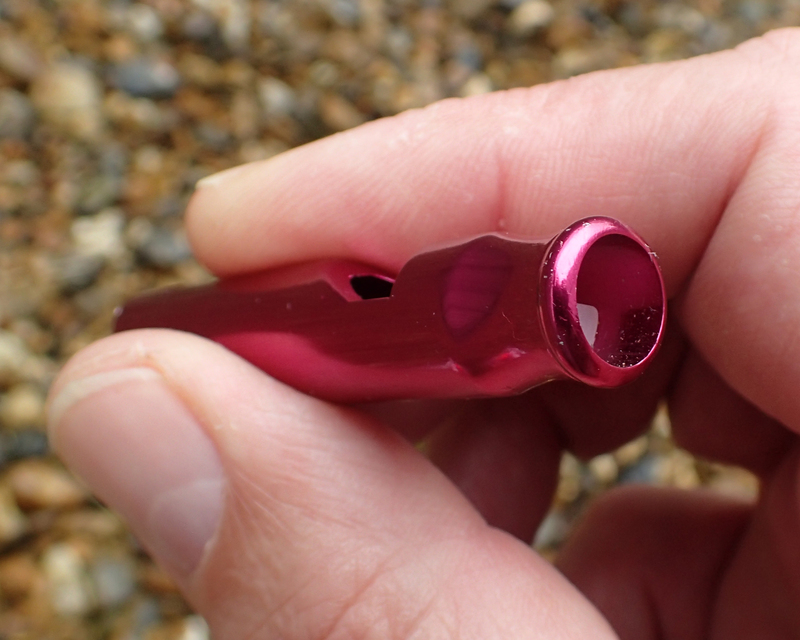 I stated at the beginning of this post that I was hoping to shave a few grams off the weight of the whistle carried, instead, I ended up with a whistle that is far more suited to the job in hand- i.e. making a racket in the event of an emergency. As for Three Points of the Compass. I will now carry the Fox 40 Sharx on Day Hikes and the larger, lighter, Wind Storm on extended, multi-day hikes. It is on the latter that I am more likely to be getting off the well-beaten track. With not only a lower number of people within earshot, but potentially, a greater risk to myself due to the terrain. This entry was posted in Gear, Skill, Uncategorized and tagged gear, Knowledge, Skill, small stuff, whistle on June 27, 2016 by Jools. This entry was posted in Uncategorized and tagged sign on June 5, 2016 by Jools. This post is a little different from my normal, if occasional … in search of posts. 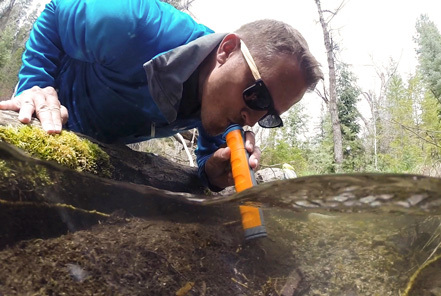 Whereas I would normally have purchased the gear items that I have tried out and selected what works for Three Points of the Compass, I must confess to having very little experience of different water filters for backpacking use, while this post looks at a product that has yet to even be released upon the market. For the majority of my backpacking trips in the 1970s and 80s, I used chemical treatment if I felt that I had drawn from a dodgy water source. After-taste was a problem and I was never really comfortable with putting additional chemicals into my body, certainly not in the quantities required to maintain decent hydration. Iodine for example, is not recommended for prolonged usage. Walking into the 1990’s I moved away from chemical treatment such as iodine and chlorine when backpacking and never returned. Such treatment suits some people, just not me. I concentrated instead, on looking for safe municipal water supply or bottled water. Potable, or safe to drink, water is usually fairly easily accessible in the UK, or at least it used to be. Contamination of original sources is on the increase, reported instances of both Giardia and Crytosporidium are on the rise. Chemical run-off (pesticides and fertilisers) in some districts has reached alarming levels. There are many pathogen that thrive in both damp and wet conditions. Bacteria is probably the largest risk. Escherichia coli and Salmonella sp. are well known. The fairly large protozoa, such as Giardia and Crytosporidium are easily caught by most water filters. Viruses are small, very small. Therefore few, if any filters are going to remove them. Treatment by UV light, boiling or chemical treatment is usually required for these. 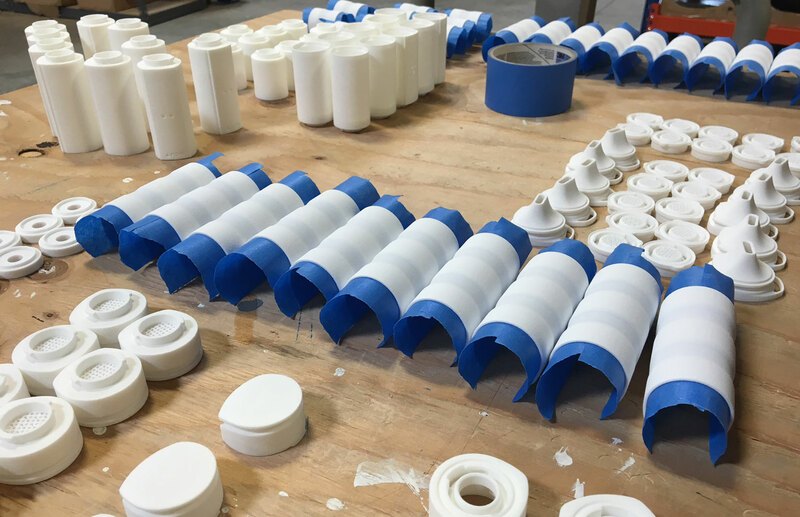 There are various types of filter, or ways that you can use a filter- pump, squeeze, in-line, straw, gravity. My preference is for a filter that can be used in any of the last four methods named. 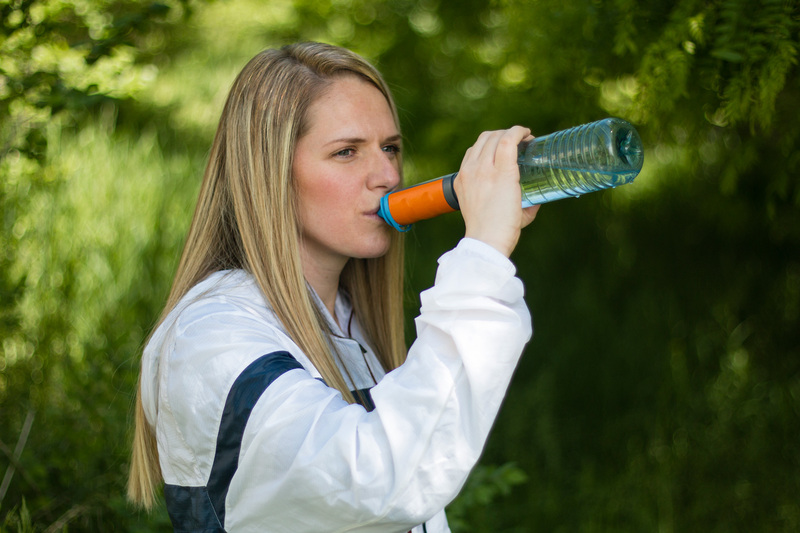 For the past few years I have been using, if only infrequently, a Drinksafe Aquaguard Micro 3 in 1. This is a perfectly good filter. I have had problems with getting a decent seal between the two main body parts, but Giles, the proprietor of Drinksafe has delivered prompt reply to emails and supplied, free of charge, replacement O rings etc. The filter itself weighs 105g, all of the various parts associated with it (including storage cup that need not be taken) weigh 220g. For my most recent trip carrying this filter, some 100 miles along The Ridgeway and side trails, where I never even need to put it to use, my ‘squeeze’ kit weighed 239g. Because this is such an effective filter, I have never felt the need to migrate to the Sawyer filter. I couldn’t see that it offered any real advantage other than a better sealed body and thinner dimensions. I have toyed with the idea of inserting an in-line carbon filter, of the type found for fish tanks etc. alongside my current filter. These filters do a lot to not only remove further impurities, but also improve the taste of water. But to be honest, I couldn’t be bothered with the faff. There are other manufacturers of decent water filters, MSR amongst them, but again, I saw no real difference in their products. A ‘step change’ in design and effectiveness had yet to occur. I almost did make a change in 2014 when I saw a piece by Sintax 77 on the Renovo Trio water filter, but again, while it appeared to be a decent product and I was drawn to its 0.05 micron filter (over the 0.1 of the Sawyer) pore size, it wasn’t offering sufficient to persuade me to part with my hard-earned cash. I had noted that the Trio came with an inbuilt carbon filter, a company to keep my eye on I thought. And what do you know- it appears that Renovo have been working on their product and combining a lot of the features I wanted to see. Good level of filtration, reduction in thickness (over my Aquaguard), combination of a pre-filter and carbon filter, ability to use as in-line, squeeze, gravity, straw… hmm. 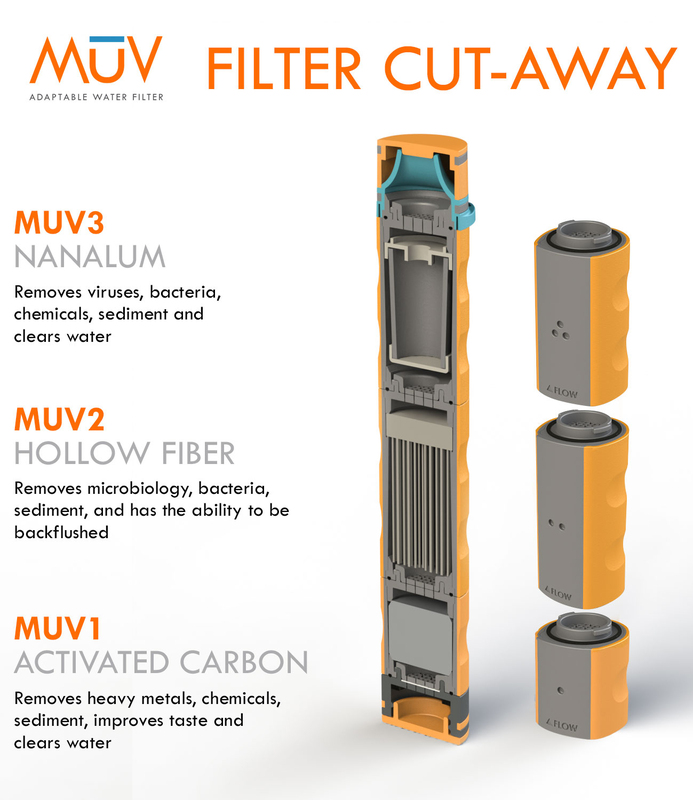 There are three separate filters on the Renovo MUV adaptable water filter: MUV 1- Activated Carbon, MUV 2-Hollow Fiber Membrane and MUV 3- Nanalum. I do like the inclusion of a pre-filter to remove the large particulate matter that may be present in water. It is, of course, possible to strain water initially through a shirt, bandanna, coffee filter or similar. But who amongst can really be bothered? Just a bit more hassle, so usually dismissed, which means the filter clogs up, which slows throughput until back-flushed. Which means that some means of back-flushing needs to be carted along as well. It is for that reason that I was never drawn to the Sawyer Mini- the considerable number of reports on its rapidly diminishing flow rate could not be ignored. At least not by me. 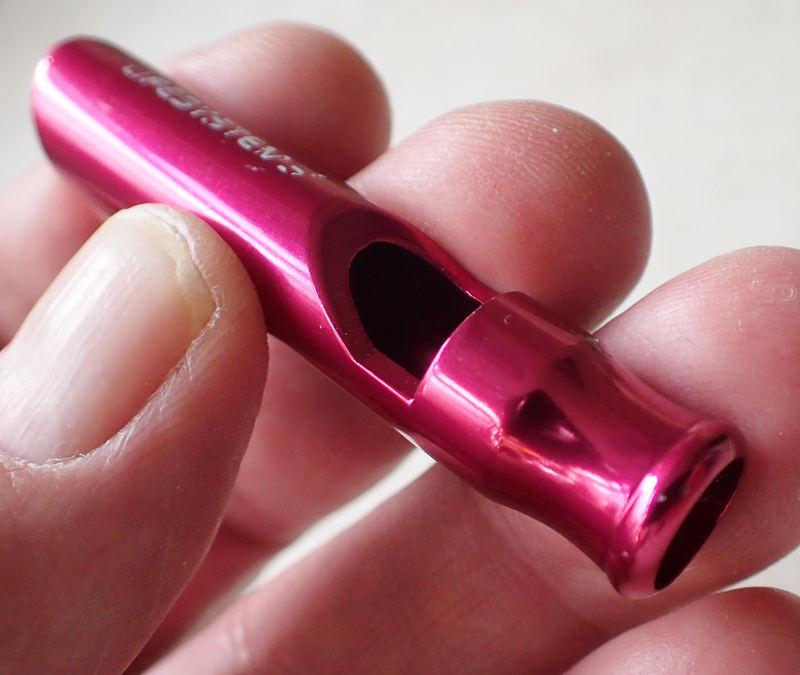 I am not over keen on the mouthpiece that is shown on the prototype Renovo MUV, but there is also the option to purchase detachable in-line connectors that can replace the shaped mouthpiece shown above. The company has stated that all the component parts that require replacing over time will be available for after sale purchase. 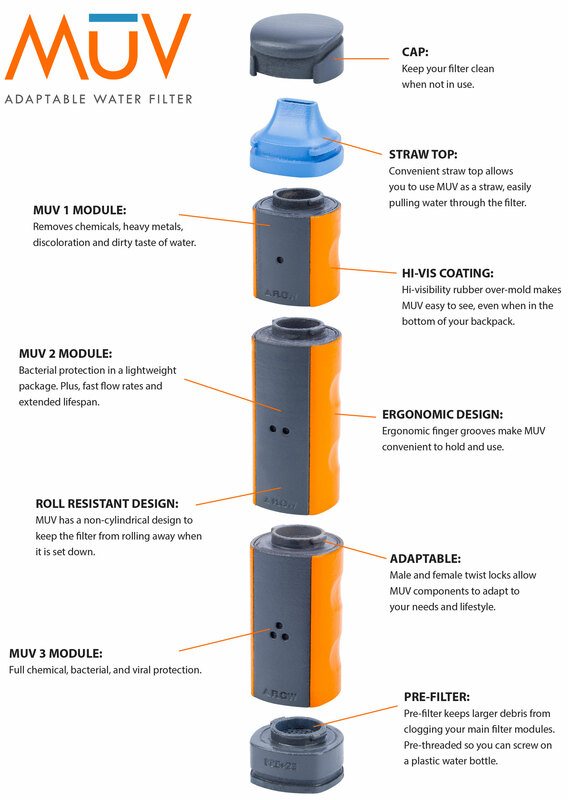 MUV 1 has an indicated filter life of up to 150 gallons (682 litres), MUV 2 a filter life of up to 100 000 gallons (454 609 litres) and MUV 3 an expected filter life of up to 90 gallons (409 litres). Interestingly, the company have not simply released this straight onto the market. Instead, they launched a Kickstarter campaign with a view to having it fully funded by 23rd June 2016. They achieved that ambition within 72 hours of launch. There are (at the time of writing) various rewards available with just the one, frankly unappealing, stretch goal, again achieved. So, this post is not intended to be an advertisement for the MUV filter. It will stand or fall on its own merits. 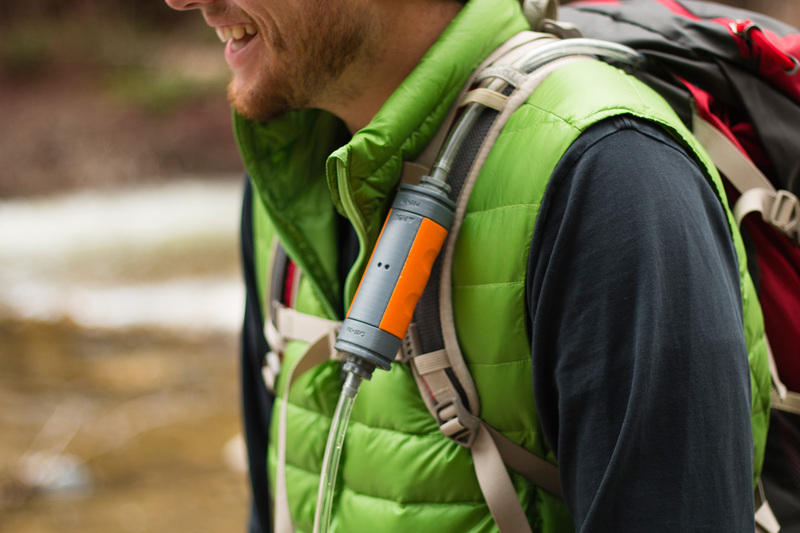 For me though, I believe that this exciting development, with the flexibility to alter the filter to suit an individual’s own needs and wishes yet still provide leading standards of water filtration, means that the Renovo MUV Adapatable Water Filter may soon represent the best lightweight water filter available for backpacking purposes. It is for this reason that Three Points of the Compass has become a backer of Renovo’s Kickstarter campaign, I wish them well and look forward to my filter. This entry was posted in Uncategorized on June 3, 2016 by Jools.